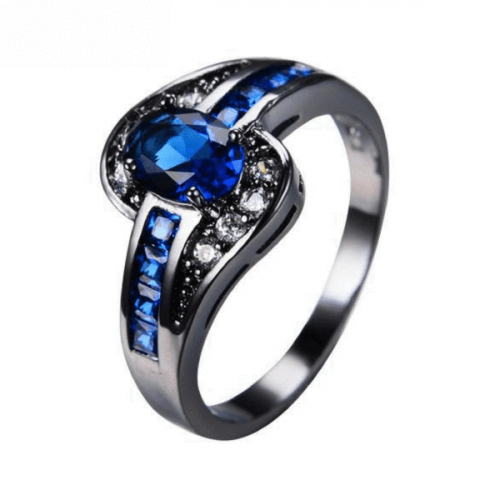 Beautiful Black Gold Sapphire Birthstone Ring! Comes in sizes 6,7,8,9 &10 . The ring is black gold filled and the stones are Cubic Zirconia.